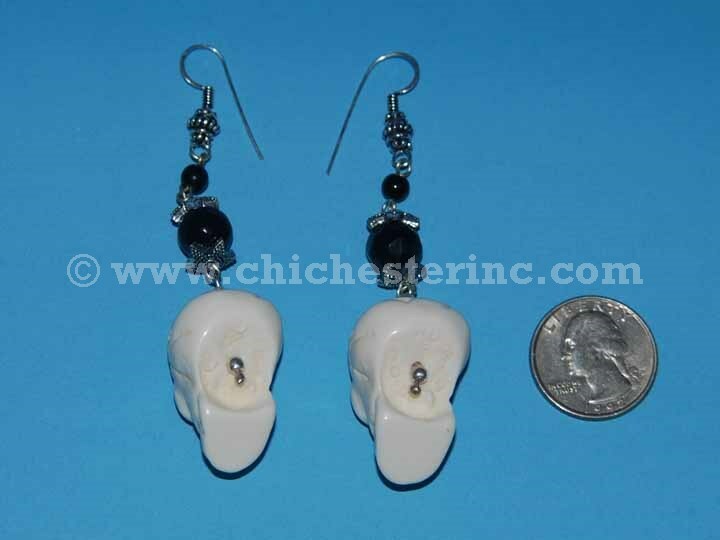 See the back of the earrings with a quarter. 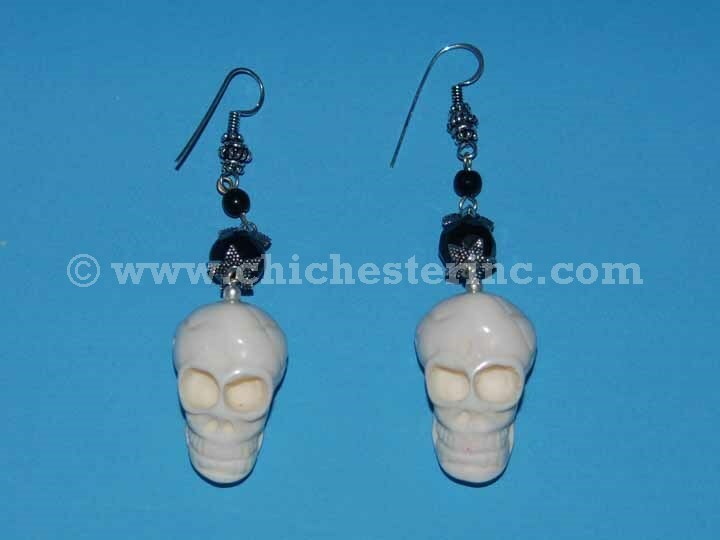 The earrings are made with 22 by 30 mm white resin skulls and silver plated glass beads. 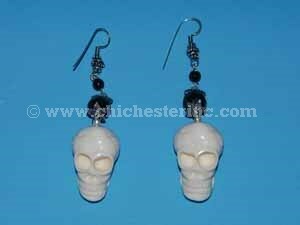 The earrings are 3.5" long and weigh about 24 grams or 0.8 ounce.